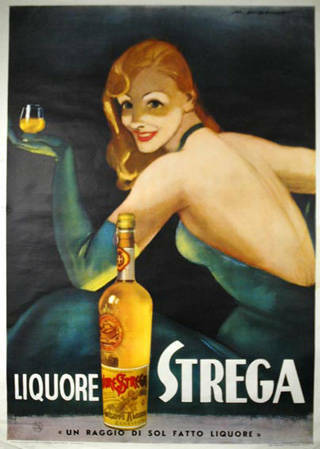 Vintage poster for Liquore Strega. Mixed cocktail prepared with grappa Nardini. 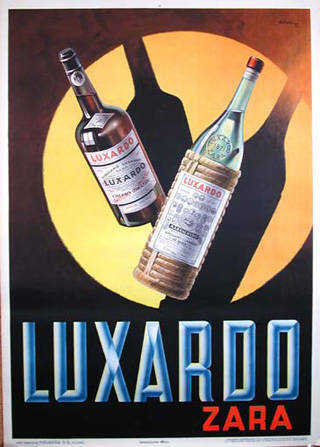 Vintage poster for Luxardo liqueur. The experience of the aperitivo is a consolidated Italian tradition. Literally, aperitivo is a pre-meal drink whose scope is to stimulate appetite, but it has come to signify the ritual of going out for a drink at one of the many bars that offer it throughout the peninsula. Aperitivo is a well established custom that has traveled far and it has been adopted in other countrues as well. 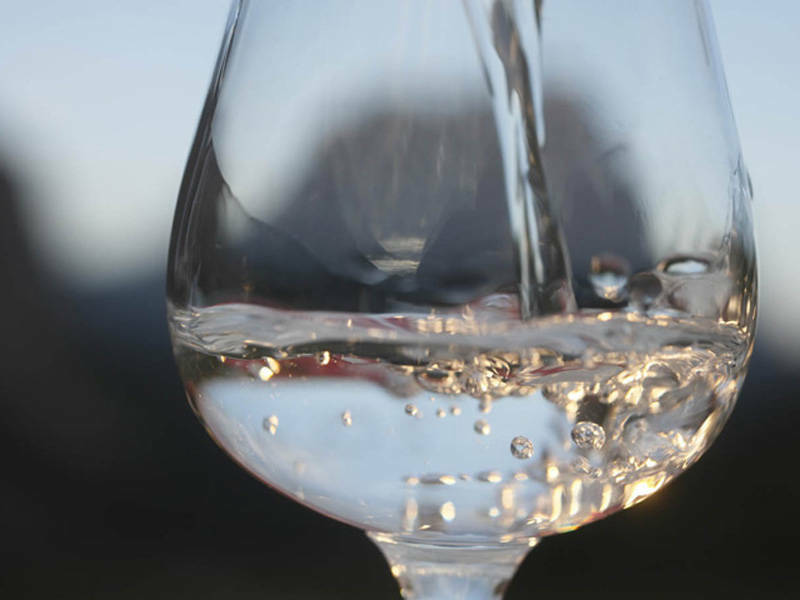 Yet there is another “drinking” tradition in Italy, spirits like amaro or grappa are enjoyed after a meal as digestivos, in order to help digestion. I-Italy's own, Charles Scicolone, defined grappa as the “perfect way to end a meal.” Grappa and other spirits are the protagonists of The Spirit of Italy, a series of events that is taking over New York City this season, offering the city’s residents and visitors unprecedented access to Italy’s most exciting cocktail spirits. Eight of Italy’s most historic and popular distilleries—Amaro Lucano, Nardini, Luxardo, Distillerie Moccia, Pallini, Strega Alberti, Toschi, and Varnelli—will host tastings, classes and events so spirits’ enthusiasts can see for themselves the quality liqueurs that make Italy’s cocktail culture so diverse and cutting-edge. Spirit drinks have an important legacy in Italy, a close connection to the territory and history of where they’re made. Yet spirits are also one of those most innovative sectors of Italian culture—the country’s long-standing aperitivo is perennially on the crest of new trends in cocktails, mixology and nightlife, and it is the producers of Italian spirits that lead that charge. The Spirit of Italy promotes these Italian spirits, but it also represents Italy’s devotion to tasteful and enjoyable experiences. The project is a link between culture, tradition and quality—the real essence of Italian liqueurs, grappa and digestivi. The companies that make up The Spirit of Italy are led by families that shepherd strong brands and time-honored traditions in their work, and have been doing so since their inception. They’ve passed down their philosophies, ambitions and closely guarded secret recipes through loyal generations. When The Spirit of Italy lands in New York City this fall, the celebration will include a series of in-house tastings where the spirits can be sampled on their own or in creative cocktails. Renowned cocktail maestro Francesco Lafranconi, Corporate Director of Mixology and Spirits Education for Southern Wines & Spirits, will lead a tasting and seminar, as well as a mixology session where attendees can taste innovative cocktails he created exclusively for this event. 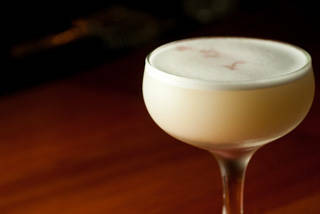 These creations include the Noci e Limoni, a blend of hazlenut, walnut and limoncello spirits; the Spiced Intentions, which blends herbal liqueurs with chai tea and Scotch whisky; the Mistero, a mix of classic Italian spirits with rum and sherry; and the Winter Blanket, a blend of zabaglione liqueur, grappa and tea. Additional classes and tastings spotlighting each producer offer guests the chance to experience each historic liqueur. The Spirit of Italy tastings, classes, and other events will take place at Eataly, the temple to Italian gastronomy, and Macao Trading Co. in the city’s Tribeca neighborhood, on October 14, 15, and 16. From October 14th to 24th, these spirits will show up in specials at Eataly’s restaurants (La Pizza & Pasta, Le Verdure, Il Pesce, La Piazza, and also at La Birreria). They will also be exhibited in Eataly’s Wine Store, where visitors can taste them from Friday, October 14th through Monday, October 24th.